My neighbor is very chatty, and as she’s a New Yorker, I try to get some hints that aren’t covered by the guidebooks. I’m on the countdown now. This is my first visit to New York, and I’ve managed to get the window seat. Maybe she’s a recent arrival, because her answers to my questions always start with “Barry?” Her husband is sitting on the aisle, and doesn’t seem to mind having his reading regularly interrupted. I’ve learned quite a bit from Barry’s suggestions over the last couple of hours, but I’ve probably learned more about his wife’s family, friends, eating disorders and last vacation to the Virgin Islands. 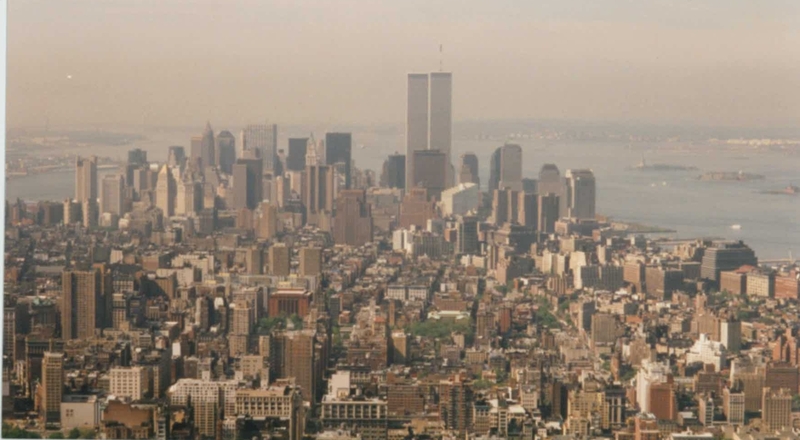 I’m going to be staying with friends who live on East 47th Street, but they’ll be working late at the World Financial Center, and they’ve suggested I meet them there. One question Barry can’t answer is how I can get a bus there at this time of night from JFK. The passenger across the aisle from Barry overhears, and asks around his neighbors. They aren’t sure, and the row in front of them offers ideas. Soon there are six or seven people, with what I think are New York accents, all debating the best way to get to the World Financial Center. It’s all a very welcoming start to my first experience of this iconic city. And as hoped, the views as we approach the city are spectacular. The consensus is that I should take a taxi, and I’m soon sharing a ride with an elderly Jamaican lady. I wasn’t expecting that, but she doesn’t look too threatening, or mobile. If she does a runner, we can give her a head start and still catch her by the corner. The driver’s name is Mustapha – he asks me where I’m from and I tell him New Zealand. I’m not sure he’s heard of it as he looks at me as if I’ve misunderstood the question. For some reason he sees me as an expert on leather sandals, and is very keen on getting my advice. He seems surprised and a little disappointed when I admit that it’s not my specialist subject. We need to stop for petrol, and then again for Mustapha to buy some peanuts. Waiting in a taxi in Brooklyn for my taxi driver to get peanuts feels surreal, but maybe that’s what life is like in New York. 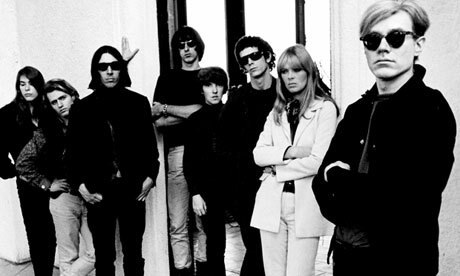 As a music fan, one of the band I associate with New York is the Velvet Underground, and I’m a fairly recent convert. There had been optimistic rumors that their 1992 reunion would extend to Australia and New Zealand, so I felt the need to know more about this band. Every artist seemed to be listing them as an influence, so it seemed time to do more research. I’d previously been given a compilation of the Velvets, but I guess my mind wasn’t quite ready. How could I not have loved this the first time around? Dark and seedy, this music was captivating. I spent a lot of 1993 listening to the Velvets and read the few books that I could find on this short-lived band. I came across Tom Wilson’s name, whom I associated with Bob Dylan and Simon and Garfunkel – names that were eternally linked to New York City. The wonderfully jarring and grating noise from the Velvets seemed a world away from the Sounds of Silence. I soon discovered the connection with Andy Warhol’s Factory scene. I’d love to track down that building. And this is where Lou Reed was walking on the wild side? I need to get to this city. 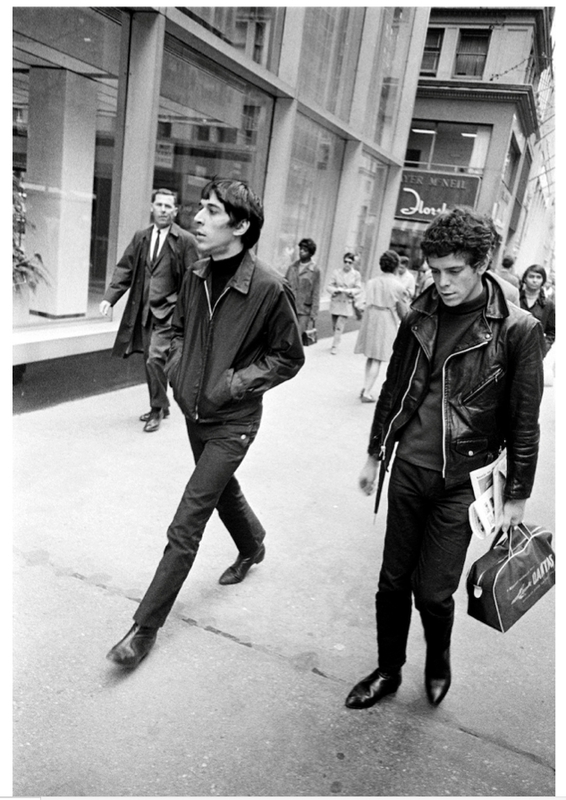 This superb photo of John Cale and Lou Reed, the architects of the Velvet Undergound, was taken by Joel Meyerowitz on 5th Avenue in 1968, “just a casual shot of an interesting looking guy, only to discover later on that it was Lou Reed and John Cale”. He published it on his Facebook page on November 11 2013, after the death of Lou Reed. Any why shouldn’t I spot Cale and Reed? This is their town after all. Well, because they hate each other (again), the reunion is over, and it’s not 1968, it’s 1994. It won’t happen – but I can’t stop hoping that it might. It’s as ridiculous as going to Stockholm and hoping to run into the four members of ABBA, holding hands and skipping down the street. Who would hope for that? But that’s another story. I spend hours walking in New York City. Partially because I’ve been warned against using the subway, but partially to convince myself that I’m really here. 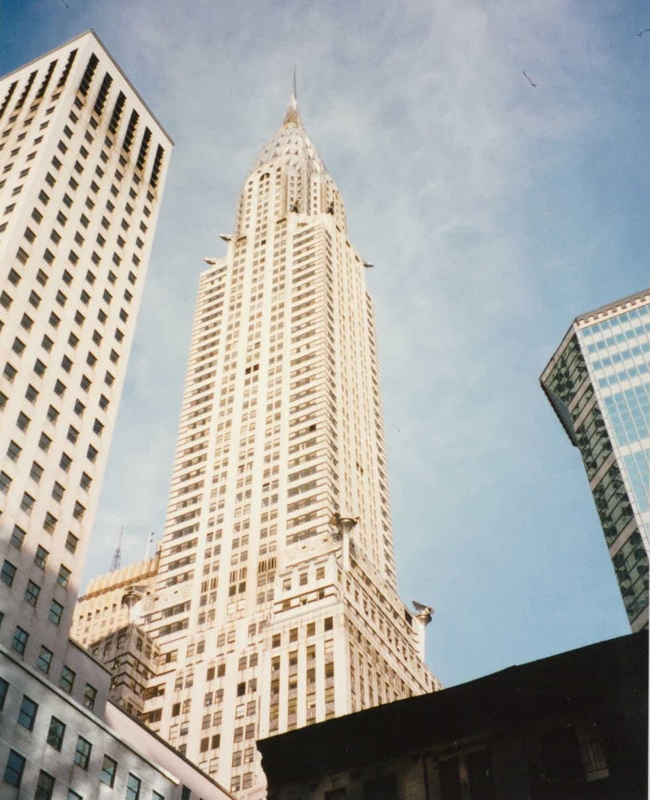 There’s so much to see above ground and I see many familiar sights – the Chrysler Building, the Empire State Building, the Flatiron Building. I start to walk the length of Broadway heading south, passing Madison Square Garden, and Union Square, and get distracted by sidestreets into Soho, Little Italy and Chinatown. Eventually I get lost, but it doesn’t bother me. I’m in no hurry – which is just one of many differences between me and the locals. It frequently feels like I’m the only one in this city that is relaxed, or at least trying to relax. This doesn’t feel like a city where you can sip a coffee and watch the world go by; I get the impression here you that you are expected to either keep up or get out of the way. No-one’s being unfriendly to me at all – quite the opposite, but I’ve spent time in cities like London and Paris, and this city operates at a completely different pace. My explorations continue with a visit to Wall Street and the NYSE viewing platform. The courts around City Hall are cordoned off as the World Trade Center bombers are being sentenced today. On February 26, 1993, a truck bomb was detonated below the North Tower of the World Trade Center, killing seven and injuring thousands. I hear later that all four are sentenced to life imprisonment. I keep heading south and take the Staten Island ferry, passing the Statue of Liberty and Ellis Island. It’s a welcome change to let the ferry do my walking. That evening my friends have to work late once more, but their roommate is there with her boyfriend. I’m not sure if the roommate is impressed, but I spend the evening with the boyfriend talking sport over a few beers. 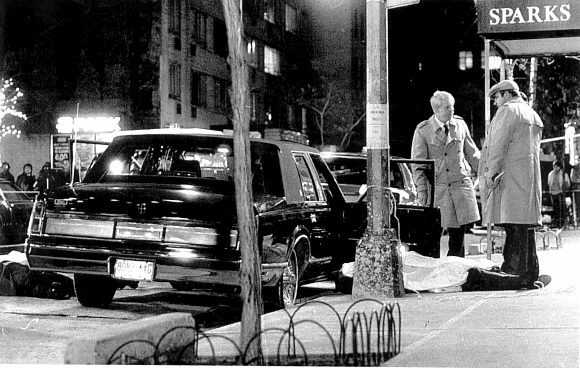 We also cover recent mafia history and the bloody events outside Sparks Steak House at 210 East 47th Street (my friends live at 212 East 47th), as well as Woody Allen’s frequent appearances at “Michael’s”. This ends sometime between 2am and 3am. These guys can talk. 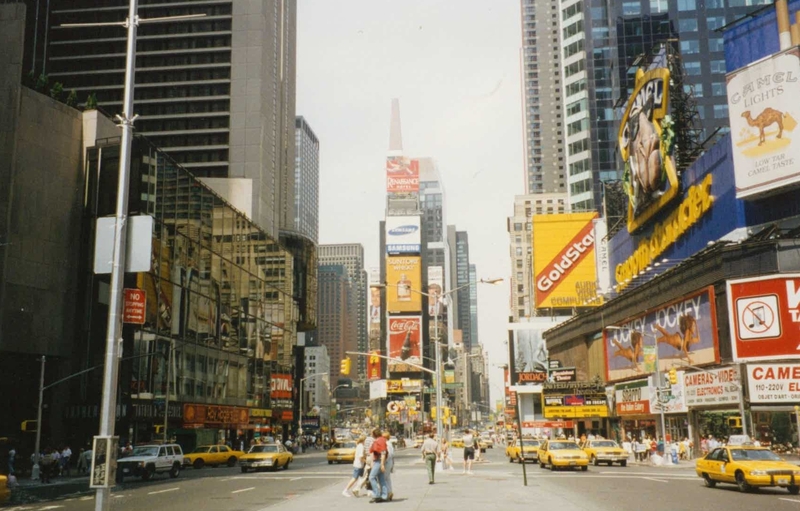 Most days are spent walking with visits to the UN Headquarters, Grand Central Station, Times Square, Rockefeller Center, Radio City Music Hall, Carnegie Hall, and MOMA. Clutching my bag, I even brave the subway for the first time for a visit to the Guggenheim. Clearly a tourist (possibly because I’m the only person in New York wearing purple baggy surf shorts), I attract attention, but it’s soon clear that this isn’t some cunning diversion while the accomplice grabs my wallet. People just want to make sure I’m not lost. This isn’t the first time strangers have gone out of their way to help the weary visitor – which isn’t easy when they don’t seem to understand my accent. Lunch is sometimes on the grass in Central Park, where I discover that pretzels are more filling than they look. One large pretzel is plenty. Being a Beatles fan, I have to locate Strawberry Fields and the Dakota building. I notice on the billboards throughout the city that they all have web addresses listed for the product advertised. This must be this internet thing I’ve heard of, but haven’t tried yet. Maybe it will catch on at home and we’ll have web addresses on billboards in New Zealand one day. Evenings are passed in institutions with names like Edward Moran’s, Jamesons, and the Fulton Street Cafe. 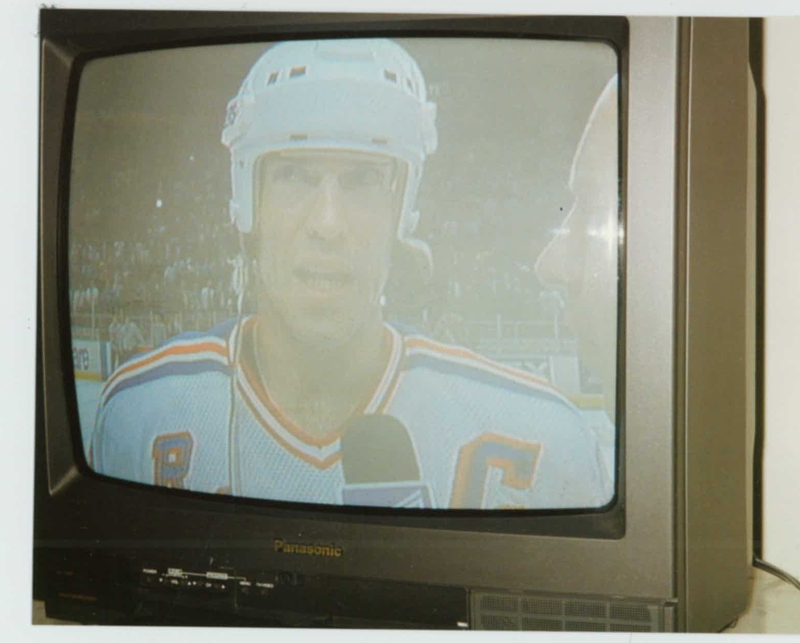 One particular night is spent in a bar watching a Stanley Cup playoff match between the New York Rangers and the New Jersey Devils, with the seven match series tied at 3-3. New York scores early but New Jersey equalises with seven seconds to go in regulation time, causing overtime and major discomfort for my new friends. We need to get home, so we make flying visits into multiple bars on the way back to get updates. The match needs 25 minutes of sudden-death play, so we’re able to get home in time for the finish. 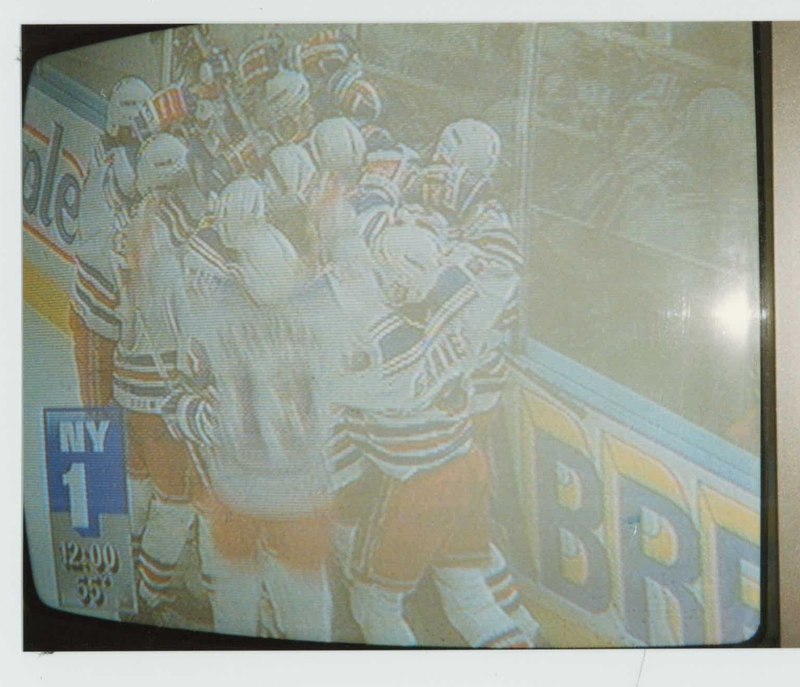 Fortunately New York wins, giving a great night out a fitting ending. I’m not sure how my friends would reacted if the night had finished with a New Jersey goal. I suspect the night would not have been so memorable for them. 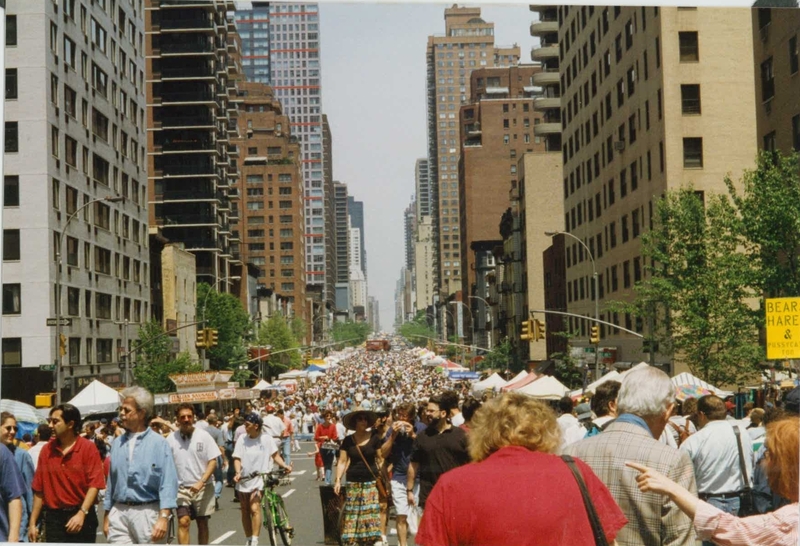 On my last day in New York, I come across the Turtle Bay Festival on 2nd Avenue. It’s a great place for souvenirs, which double as clean clothes, so I stock up. From there, I walk to the South St Seaport, followed by a wander across Brooklyn Bridge. They take the bike lanes a bit more seriously here than at home – again, it’s a mistake I make only once. Night is again spent with friends of friends, as mine are yet again working late. I’m not sure if people ever really stop working here – even when I’ve met people for a drink on the Friday night, they have had to go back to the office later that evening. That isn’t the Friday night that I’m familiar with. Work is the last thing on my mind on my last night in New York. The door to the roof of their apartment building is open, and I take a seat with a view over the lights of Manhattan. The spire of the Chrysler building look close enough to touch, and I reflect on how lucky I am to have been offered accommodation in this part of the city. I have my trusty Walkman, and on New York radio I hear Crowded House, a band that New Zealanders like to think of as our own. “Don’t Dream It’s Over” sings Neil Finn, but with a flight to Paris tomorrow, there’s not much I can do about that. Could I live here? I don’t think so. In the last week I’ve been to so many fantastic places that I’ve read about for years, and people have been so helpful, but I haven’t really felt comfortable. Maybe that’s unrealistic after just a week, but I’ve been to other cities where I’ve felt at ease almost immediately. I’d love to come back, but I have no ambitions for a long-term stay. Months later, I’m back in Auckland and daydreaming about my week in New York, and I realise that I was so busy I completely forgot to look up Andy Warhol’s Factory. 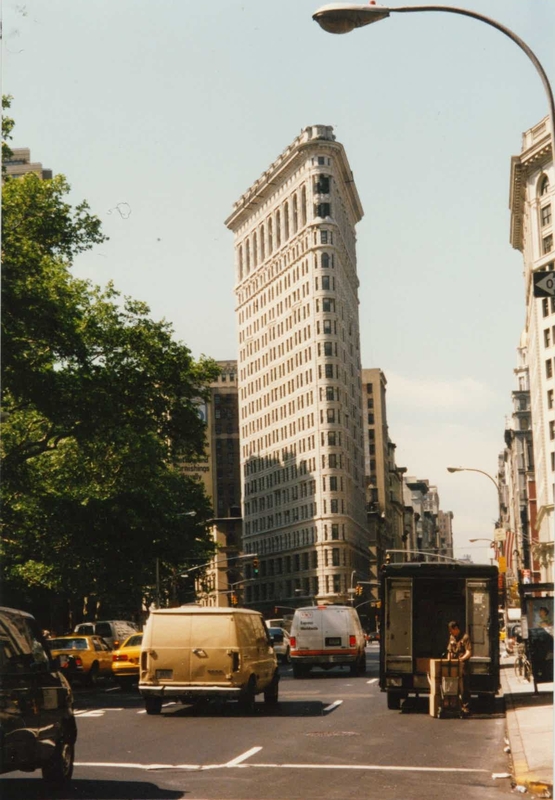 I find that the original Factory was on the fifth floor of 231 East 47th Street between 2nd and 3rd Avenues. I can’t believe it. I was staying at 212 East 47th, also between 2nd and 3rd Avenues – almost directly opposite the Factory building, and I must have walked past it every day. Now I definitely have a reason for a return visit. This entry was posted in Music, Travel and tagged Andy Warhol, John cale, Lou Reed, Manhattan, New York, Tom Wilson, travel, USA, velvet underground. Bookmark the permalink. 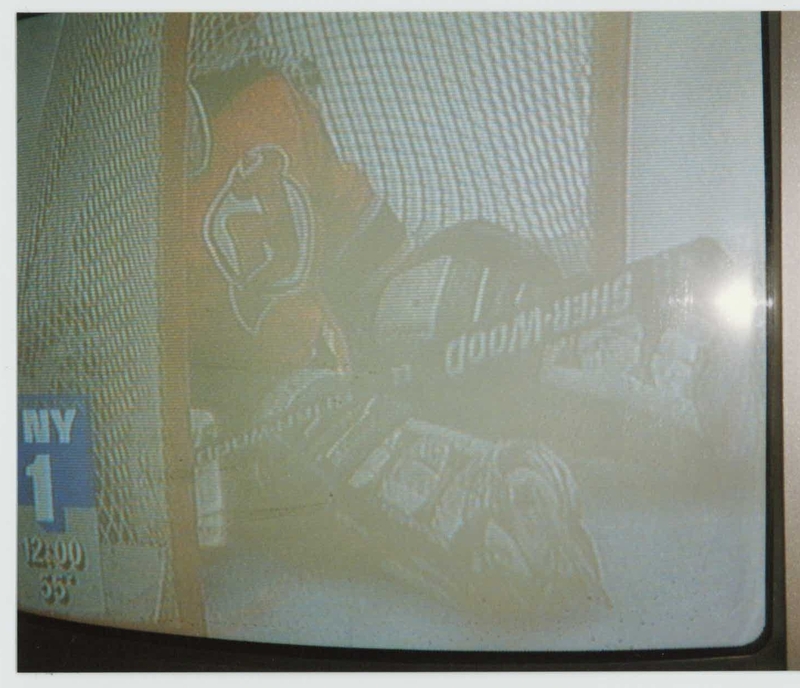 Love the “retro” 1994 photos. No copyright problems with those!